From the recent Hydrogen bomb test, to the launch of a missile over Japanese territory, to threats to bomb the US island territory of Guam, North Korea’s determined efforts to develop its nuclear weapons program have kept global leaders on edge this past summer. Most of the discussion surrounding the topic has focused, as it properly should, on the role of China and the United States in the crisis. However, there are other actors who have an interest in the Korean crisis. One such actor is Russia who, though not as involved as China and the United States, has an angle on the crisis stemming from personal interests of political preservation; one that lies less in global security concerns over a nuclear armed North Korean state and more with the maintenance of domestic power and legitimacy. Earlier this year, the Canadian Security Intelligence Services released a report on Russia’s foreign policy perspectives highlighting the connection between Putin’s hold on power and Russia’s increasingly active foreign policy. The argument therein is as follows: Putin’s ascent to the presidency nearly two decades ago came following a time of economic chaos and brought with it a return to normalcy in Russia. In the advent of the Putin era, the Russian economy stabilized and much of the corruption, inflation, and uncertainty characteristic of the turbulent 90’s largely disappeared, leaving an economy in its wake that much more closely resembled that of stable, western countries. Indeed, the overwhelming support that Putin enjoys to this day is credited to this massive success. However, after the 2008 global financial crisis hit and the imposition of sanctions over Russian military involvement with her neighboring countries, the economy began to flounder leaving a major contributing factor to Putin’s popularity and claim to legitimacy of his government threatened. Consequently, Russia’s attention slowly shifted towards pursuing an aggressive foreign policy agenda. This new agenda, aimed at securing PR victories for Russia through the medium of foreign policy involvement, acts as a new source of legitimacy for Putin with consecutive victories acting as pillars of support pointing to the definitive and strong arm of a powerful leader in the modern era. Russian involvement in Syria and especially in Crimea have acted as major victories for Putin’s legitimacy. In Syria, Russia has adopted the role of a strong state standing defiantly in the path of terrorists. In Crimea, Putin has positioned himself as having successfully become a modern-day father of Russian reunification having successfully reclaimed former Russian territory and secured the protection of ethnic Russians. Moreover, Putin has successfully accomplished both of these feats in stark opposition to the United States. Indeed, a large part of the narrative surrounding Russian involvement in Syria was focused on saving the integrity of the Syrian state and preventing the stable if unpleasant rule of Bashar al-Assad from collapsing as terrorist rebel groups tried to take over. Russia has built and maintained an image of itself existing as a challenger to the ‘hypocrisy’ of the United States, and victories in its foreign policy efforts have lead to broad domestic support. Popular Russian support for the foreign policy of the Kremlin remain consistently high. It is here that the North Korean crisis comes into consideration. Much like Crimea and Syria, it is a high-profile issue that would serve as a popular vehicle for securing a Russian ‘victory’ through diplomatic negotiations and interactions. Furthermore, it is an issue with clearly defined sides where Russia can successfully position itself in defiant opposition to the United States. Should Putin play his cards right, the North Korean question could become a very lucrative source of legitimacy. Historically, Russia does not have nearly as big of a stake in North Korean as compared to that of China or the United States. The two were allies during the Cold War and, following a period of distancing under Yeltsin, have become closer again under Putin’s leadership. In 2014 for instance, Putin moved to forgive North Korea 90% of the over $10 billion USD debt it owed to the Russian Federation. Their relationship is cushioned by the fact that a nuclear armed North Korea does not pose an immediate major threat to Russia due to the two countries sharing the United States as a main adversary. Nevertheless, even Putin has admitted that there is “nothing good” about North Korea’s repeated missile launches and their continued development of their nuclear program. 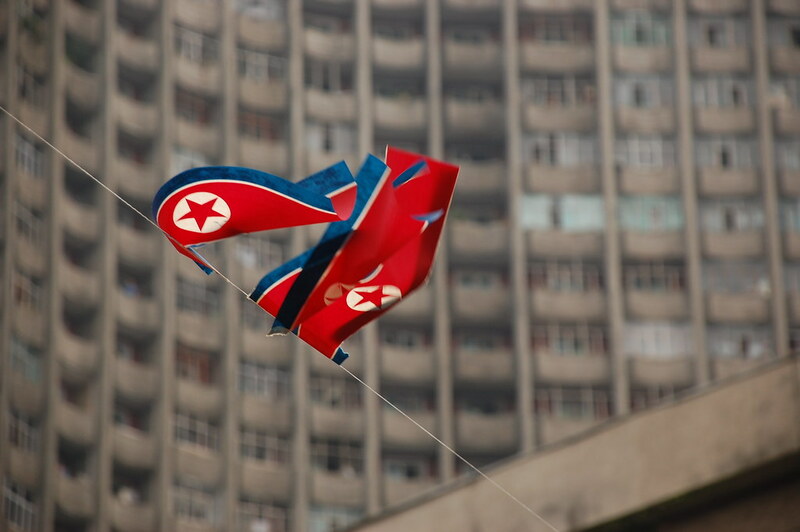 Economic ties between the two, though strong, are limited in comparison to the high dependency the DPRK has on China. Thus, whatever action Russia seeks to pursue on this issue will have to be taken in parallel with Chinese or US interests as there is little room (or indeed interest) in carving out a third way for Russia to get involved. Russian partnership with the United States is unlikely. The two countries (though agreeing that North Korea must back down from developing its nuclear program and refrain from threatening other countries) disagree fundamentally on issues unrelated to the North Korean crisis, and have their disagreements on how best to handle North Korea. In order for there to be any sort of rapprochement between the United States and Russia, Russia and the United States would have to be willing to set aside major sore points and come to the negotiation table without preconditions. Furthermore, Russia would have to be willing to toss aside, if even briefly, its position of opposition to the United States. The US will not resign itself to following Russia’s lead nor will Russia acquiesce to US policy. Thus, an American path, for Russia remains closed. China, on the other hand, is a partner Moscow is much more willing to deal with. Under Putin, Russia has readily engaged with China to develop new partnerships and economic relations. The two have remained allies with China’s Xi Jinping and Putin meeting multiple times every year and conducting military exercises together. After the North Korean test launch earlier in July, both Russia and China issued statements condemning the test and urged restraint “on both sides” by calling on Japan, South Korea, and the United States to withhold from escalating tensions via military exercises in the region. This call for restraint has manifested itself in the development of a China-Russia supported plan calling on a freezing on both sides. North Korea would halt its missile and nuclear weapon program and the United States (with South Korea and Japan) would stop conducting military exercises in the region. This option is much more attractive to China who fears that increased UN sanctions against North Korea risk destabilizing the country and triggering a humanitarian crisis. However, the United States has predictably rejected the bilateral proposal from the Russians and Chinese, and the Trump administration appears dangerously determined to remain strong and aggressive in their opposition to North Korea. Options for Russia are limited, but there is a path by which it may be able to secure a ‘victory’ here. The key point to take away is that any resolution must come with Chinese partnership. Russia is unable to approach the issue on its own and will have to work within Chinese preferences. This means that, broadly speaking, there can be no possibility of regime change in North Korea, and no outbreak of war. Within these parameters, a Russian victory would likely involve a deescalation of tensions (including the backing down of the United States). If Russia can demonstrate that it rightfully identified the solution to the problem – namely that the United States had to readjust and back off from aggressively asserting its influence in the region, then Russia could walk away with its head held high tallying another success for Putin. Ideally, steps to this end would come within a context in which Russia could play an active role, such as through the UN Security Council. North Korea currently remains an attractive if volatile opportunity for Russia to score some reputation points in pursuing its aggressive foreign policy. Putin’s new foreign policy objectives have successfully led to the construction of a narrative questioning the global leadership role of the United States; one that has served well domestically. If future opportunities can continue to be capitalized upon, domestic support for Putin’s presidency will continue to hold strong. John Chrobak is a recent graduate of McGill University where he completed a BA in Political Science and Philosophy. His primary area of focus is Eurasian affairs and he is particularly interested in contemporary Russian politics. More specifically, he is interested in examining emerging trends in Eurasia by monitoring the development of domestic Russian politics and Russian foreign policy with her neighbours. He plans to continue his studies by pursuing an MA in international relations.